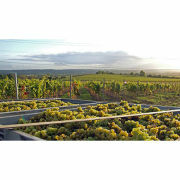 For those who are partial to a tipple, why not arrange to see the processes behind the art of winemaking on an English vineyard tour, available in Devon, East Sussex, Kent, Suffolk, Essex, Surrey, West Yorkshire, Shropshire, Gloucestershire and Cambridgeshire. This activity experience features wine tasting of at least three different varieties of wine, a tasty two or three-course lunch or delicious buffet lunch and often a bottle of wine to take home (depending on vineyard tour location selected). The vineyard tour starts off with an introduction to the estate and its history. Then go on to see the original cuttings, newest additions and learn about the whole winemaking process, from planting to harvesting. Enjoy!